Is the furnace taking more time to heat water than before? Do you need a large amount of detergent to wash cloth? If yes, then it is time to choose a suitable one from various water softener systems available. If the water supply to your property is hard in nature, it manifests in various ways. You need larger amounts of detergent to wash clothes. Yet, clothes don’t usually come out sparkling clean. The water heating system has to bear the burden of all the minerals in the water. Scales of metal salts may cover the heating element and even the walls of the tank. Hard water has the capacity to reduce the efficiency of heating. You need more electricity than before to heat up the same amount of water. This increases the overall household electricity consumption. To tackle the increase in detergent use, increase in fuel consumption and dull-looking clothes, you need to install water softener systems. Water softener systems are very useful systems. They can turn the hard water supply to your house into the soft water and make life easier for you. What is hard water and why it is such a menace? Hard water got its name because of the mineral salts present in it. Simple as it may sound, its implications, for the household, are far and wide. These salts interact with detergents and prevent them from cleaning the clothes efficiently. In water heaters, they get deposited on the surface of tanks and heating elements. This prevents the heating element from heating the water efficiently. So you need more electricity to heat water. If you have a gas or oil water heating system, the scales forming on the surface prevent the water to rise to the required temperature. Elements responsible for this hardness also deposit on clothes. So you can’t get sparkling clean clothes, no matter how hard you try. It creates problems in the kitchen too. It won’t let you have a boiled egg quickly. You need to use a few more ounces of gas than warranted to boil the egg. Even the plumbing joints and appliances develop a layer of mineral salts over a long time. The manifestations of hard water are omnipresent, be it in the washroom, laundry, water heating or kitchen. The combined effect of increased electricity, gas and detergent consumption may as well be substantial. The only way to mitigate all these problems is to remove the hardness from water. This can be done with water softener systems. These systems have different chemicals in them. These chemicals interact with the mineral salts in water and remove them from the water. Though these systems are known to remove hardness, all of them don’t do so. There are some water softener systems which completely remove the mineral salts from water. But, there are still some systems, which only prevent the deposit of mineral salts on various surfaces like plumbing joints and furnaces. 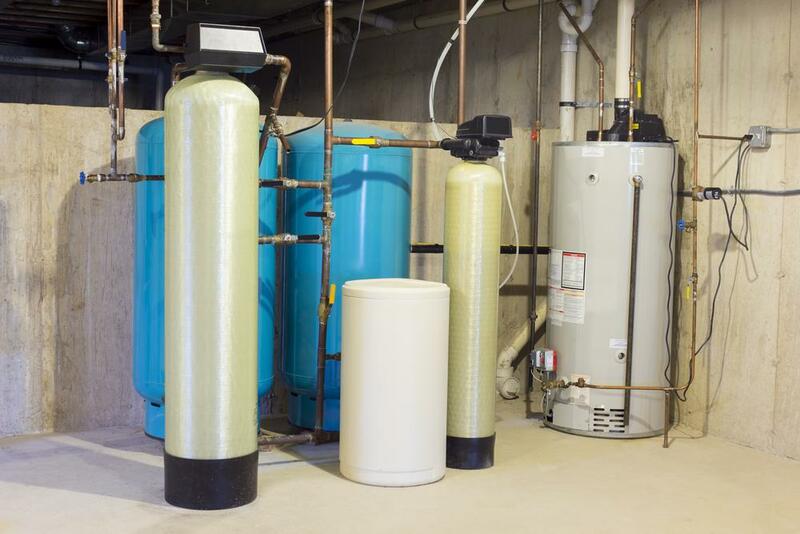 If you want to see the improvement in your kitchen, washroom, laundry, and furnace, you need water softener systems that just remove hardness from water lock, stock, and barrel. There are a variety of water softener systems for different water sources. Since the mineral content of various sources of water is different, you need different treatments for each of them. The water supply from the city that you live in may have mineral salt content that makes it hard water. You can get water softener systems to remove hardness from such water. These softeners can soften the hard water, making it useful for various purposes. The mineral content of well water is high. So if you have a well near your house, you may need a Well water softener. If you have a hard water problem in your commercial or industrial premises, then you need a commercial water softener. the water that you may receive may have certain unwanted filtration and mixers that may not be beneficial for you. If you are bearing the brunt of hard water in your house or industrial premises, you need to install water softener systems. However, you need to select the most suitable one in accordance with the source of water. You can get a compact system for your house as well.